The original Dawn of The Dead (George Romero’s) is one of my favorite films, and since then, I’ve always had weird dreams about shopping malls. 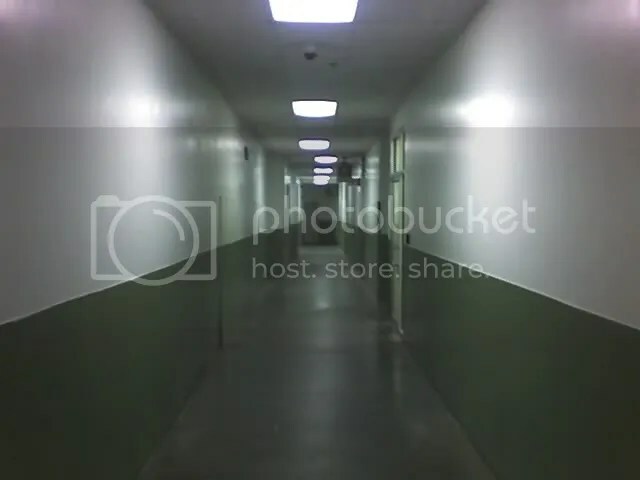 Below is the one of the back corridors of the Freehold Raceway Mall in Freehold, New Jersey. It’s fairly large, and this is part of the a laybrinthine set of hallways shoppers never see. Recently, however, the bathrooms were out of commission, and so shoppers were directed to the back to the employee/service bathrooms on the upper level.